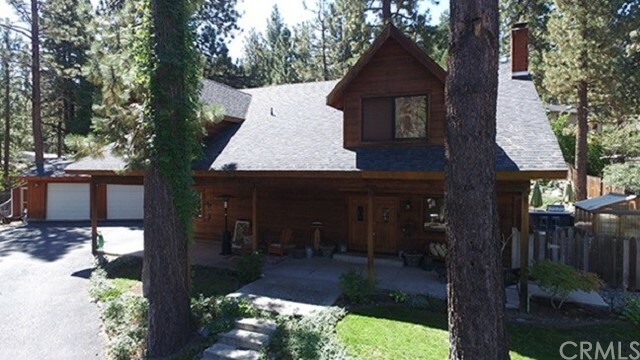 All Wrightwood homes currently listed for sale in Wrightwood as of 04/20/2019 are shown below. You can change the search criteria at any time by pressing the 'Change Search' button below. 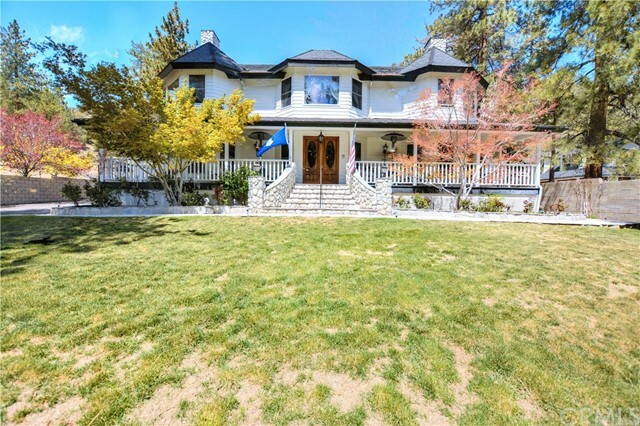 If you have any questions or you would like more information about any Wrightwood homes for sale or other Wrightwood real estate, please contact us and one of our knowledgeable Wrightwood REALTORS® would be pleased to assist you. "Truly an Estate Home! Situated on just under an acre of land, this mansion is 11,298 sq ft with 9 bedrooms, 8.5 bathrooms and a 6 car garage and your very own elevator. You will feel the old world charm as soon as you drive through the gated entrance and see the well-established trees and foliage. 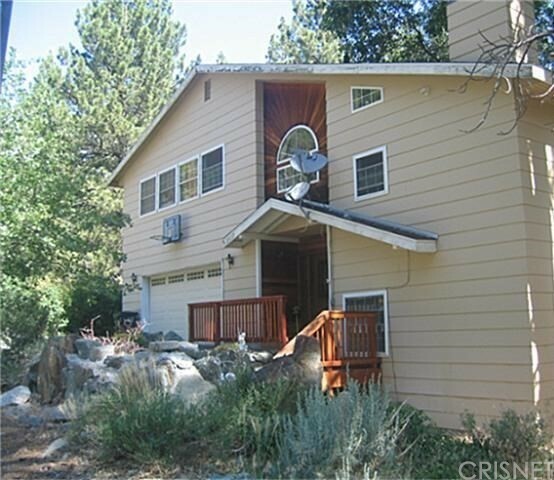 Located in the San Bernardino Mountains close to Mountain High ski resort, fishing, hiking, biking, camping, etc. Boasting an impressive wrap-around porch, you enter this striking Victorian through double doors into the grand foyer. The first floor includes a library, formal living room, formal dining room (easily seating 10), your very own saloon, and a gourmet kitchen with 6-burner wolf stove and flat top cooker. The main floor bedroom has a full bath and access to the sunroom/covered patio where you can entertain while watching the mountains and snow. The second floor includes a master suite plus four bedrooms, all with their own fireplace and individual bathroom. The third floor includes a media room, a man/woman cave, and tons of additional storage and closets. If that isn t enough, there s also a club basement with dancefloors, maid quarters, workout area and game room! There is elevator access to all floors, over 1,600 square foot of storage over the garage, and a shed behind the garage. This home could easily be used commercially as a bed and breakfast, retreat, or half-way house. Make an appointment to come see your new mansion in the mountains!" "Historic cedar log cabin adjacent to the Wrightwood Mountains, an expansion of the first area ranger station built in the mid 1800's, known as Green Gate. '' The cabin sits at a 5,900-foot elevation on 2.98 acres, 2 connected parcels, of wooded land that can be developed or retained for privacy. Travel is 5 minutes to town center, convenient in winter. The property has access to water and electric utilities from Sparrow Rd. The cabin features a central rock fireplace in the living room, expansive porch for entertainment and dining, back wing with 2 bedrooms and a bathroom, and extensive wood work. Following possession by the first ranger, owners have included from 1910 the cattle rancher Sumner Wright after whom Wrightwood is named. In 1945, the Rajagopals acquired the property, whose descendants are the current owners after 72 years, and have entertained at Green Gate such notables as Aldous and Maria Huxley, Jiddu Krishnamurti, Igor Stravinski, Greta Garbo, and Franklin Lacey. Association Amenities: None # of RV Spaces: 0 Special Features: BN,CCNONE Lot Location Type: Standard Location Landscaping: Natural Basement: FINI # of Attached Spaces: 1 # of Detached Spaces: 0"
"Historic cedar log cabin adjacent to the Wrightwood Mountains, close to skiing, Pacific Coast Trail hiking, and wide Blue Ridge views above the Mojave Desert, an expansion of the first area ranger station built in the mid 1800 s, known as Green Gate. The cabin sits at a 5,900-foot elevation on 2.98 acres, 2 connected parcels, of wooded land that can be developed or retained for privacy. Travel is 5 minutes to town center, convenient in winter. The property has access to water and electric utilities from Sparrow Rd. The cabin features a central rock fireplace in the living room, expansive porch for entertainment and dining, back wing with 2 bedrooms and a bathroom, and extensive wood work. Following possession by the first ranger, owners have included from 1910 the cattle rancher Sumner Wright after whom Wrightwood is named. In 1945, the Rajagopals acquired the property, whose descendants are the current owners after 72 years, and have entertained at Green Gate such notables as Aldous and Maria Huxley, Jiddu Krishnamurti, Igor Stravinski, Greta Garbo, and Franklin Lacey." "Nestled among the Angeles Forest is this Gorgeous 3 story Chalet that looks as if you were in Switzerland! The skis & snowboards in front defines the sport for the winter & the clean fresh air in the spring & summer allows you to hike & bike & horseback ride the activity trails in the area.This Charming Custom Craftsman Home is a 3 story Beauty with 4 Bedrooms & 3 Baths & a 2 car garage . And All the Furnitures, TV's, Couch & Recliners, & Armoires are included in this Sale!! The Master Suite has a gorgeous Italian Queen Set with an Elaborate Armoire, plus a Cleo lounger that oversees the large TV & sits in front of the Classy Fireplace, & what a View it is from the Top! It also has a Large Walk In Closet, a Vanity, & a Roman Jacuzzi Tub, separate from the Shower. The 2nd floor includes Good-sized 2nd & 3rd Bedrooms with Ceiling Fans & a TV in one of them with Forest Views from each window. The Living Room is a Great Room with a Vaulted Cathedral Wooden Beamed Ceiling overlooking the Formal Dining, the Warm Fireplace & the Lovely Gourmet Kitchen that has Granite Counters & Cabinets Galore! The 4th bedroom is downstairs where it has been converted to a Media Room has comfortable Recliners that faces a hugh TV Entertainment center & a popcorn cart to enjoy your movies! There's a cool Wine Cellar & so much more! A semi Wrap-around Entertainment Deck extends from the front to the back. With a security system, this luxury home has everything in it!! Come take a look!!" "Custom chalet in the bird streets! Check out this 4,200 square foot beauty with soaring windows, an open floor plan, and literally room for everyone. This home is an entertainers dream with ample outdoor deck space on the main level and second story, perfect for large gatherings or just a weekend BBQ. A massive 3 car garage with dumbwaiter to kitchen and extra workshop area, laundry and water softener leads to the finished basement with 2 bonus rooms below and a 3/4 bath for convenience. Up a story to the main living area which features a large open kitchen/dining/living room space with windows galore...Simply breathtaking! This area is only a few steps up from the paver driveway out front. Two large bedrooms are on this level, along with a full bath, pellet stove and wrap around deck to the side, rear yard and your greenhouse. The huge master suite sits a floor above, along with an attached office, full bath, plenty of closet space, another laundry area, and your open game room with wet bar, dedicated gas fireplace, more windows and a large slider to the second story deck with great views of the pine forest. Take the spiral staircase to the loft for even more room to roam. So many options... Oh, I forgot to mention the large 10,000 square foot corner lot with fruit trees, drip system and timer, and a quick walk to the village and all it has to offer. Little extras include sprinkler system, intercom system, dual heat and thermostat controls, plus furnishings are negotiable! Association Amenities: None # of RV Spaces: 0 Special Features: BC,CC,FS,IN,LF,PTRY,SK,WB,WKNONE Lot Location Type: Standard Location Basement: FINI # of Attached Spaces: 3 # of Detached Spaces: 0"
"Location! Location! Location! This home sits overlooking the beautiful trees down to the valley, with spectacular views all around! This home is a one of a kind three level home featuring 3,860 square feet, 3 bedrooms, an additional office that could be used as a bedroom, 3 full bathrooms, large game room with a wet bar, and yet another office space! 3 Car Garage and plenty of parking! Sitting on 0.54 acre lot!! Built in 1987, there is a spacious master bedroom and bathroom upstairs providing complete privacy from the rest of the house! Walk in to the home and be greeting with a beautiful entrance with glass French doors, formal dining room and living room on either side! Off the kitchen is a large family room, making this the perfect open concept to entertain! Open the sliding doors and enjoy your balcony with spectacular views! The kitchen features a large island with granite countertops, beautiful cabinetry with plenty of storage! Indoor laundry room, whole house fan, 2 furnaces, 2 fireplaces and plenty of storage throughout! The lower level of the home also includes two private entrances to this amazing property and access to the backyard. There are upper and lower deck giving you plenty of options for enjoying the backyard space! Separate area with a dog run fenced off for convenience. This home is a must see property! Don t miss this chance to live in this beautiful mountain home!" "Custom Mountain Home, the perfect retreat that boasts comforting interiors and dramatic exterior! A home with grand curb appeal, a grand entrance and features that are bound to impress! Featuring structural concrete foundation and steel frame construction! Magnificent home ideally situated and surrounded by pines with a large front and back porch to enjoy the crisp mountain air. If you're looking for a home to entertain, this is it! This 3,360 square foot home features 3 bedrooms, 2.5 bathrooms, an office area, family room and living room. Stunning open ceilings with sky lights. A custom kitchen made for entertaining, double viking oven, granite counters and wood cabinets! Large windows throughout the home that bring in lots of natural light and views of the trees! Large 2 car garage with a scissor lift elevator conveniently located to take you from ground level to the main level in the home! Plenty of storage throughout the home! Three fireplaces! This is the perfect primary residence or weekend escape! 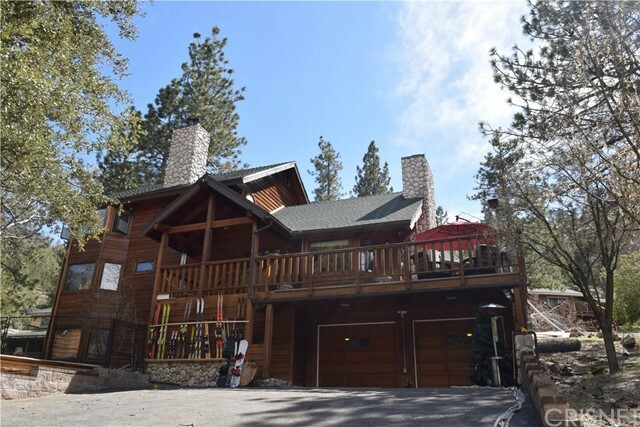 Only minutes away from the slopes, downtown Wrightwood and hiking trails! This is the home you've been waiting for!" "Location! Location! Location! Beautiful Single Level 2300 SqFt Home with a 2 car garage and additional 2 car car carport with storage and PLENTY of parking! This home sits on 14,000 SqFt lot! 3 bedrooms with an additional room off the master that would make for a perfect office space or a nursery! 2.5 beautifully updated bathrooms! The master bedroom suite includes a walk in closet, full bathroom, a private hallway to the office, and sliding doors leading you to the side-yard! Custom kitchen with running grain granite counters and backsplash! Hickory cabinets with soft close hardware, stainless steel appliances, commercial duel fuel range with vent hood, dual compressor refrigerator, Bosch dishwasher, trash compactor, garbage disposal, large walk in pantry, whole house water filter and water softener! Also featured is a loft area off the kitchen with views of the backyard! This home has been updated including 2x6 construction, extra insulation in the walls and attic, all new 200 amp electrical system and all new plumbing, double pane windows, Noritz on demand tankless water heater, new forced air heater and air conditioner, and a fully automatic stand-by emergency whole house generator!! Enjoy the beautiful 800 SqFt redwood deck which is perfect for entertaining! 3 Storage sheds located on the property, fenced back yard! This home is absolutely stunning and has so much to offer! Must See Home!" 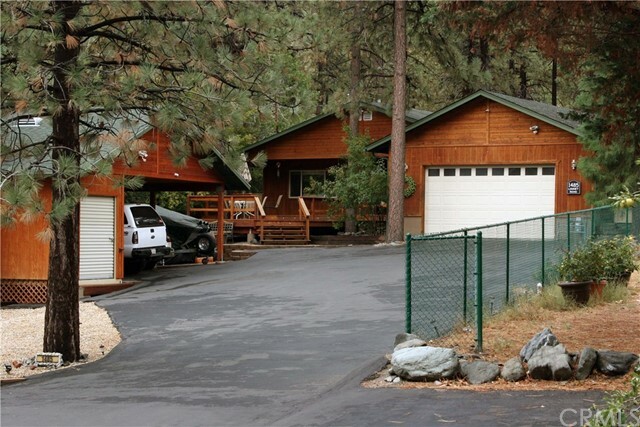 "Beautiful tri-level home located in Wrightwood,on quiet cul-de-sac street just minutes away from Mt Hight Ski Resort. Spacious House sits on Huge lot with custom built in rock waterfall feature. Custom Double entry doors/leaded glass. Features expansive wrap around balcony&gorgeous porch. Well though-out floor plan, with spacious rooms, plenty of bathrooms&two lrg fireplaces. Spacious kitchen w/ all new stainless appliances, oak cabinets, gas stove, and large center island. MB upstairs w/ spacious walk-in closet. Four bedrooms located in back wing plus HUGE bonus/game rm. Lrg windows frame the beautiful views of the pine trees in every room. Lrg family room, Perfect home for entertaining. Fenced property for privacy. 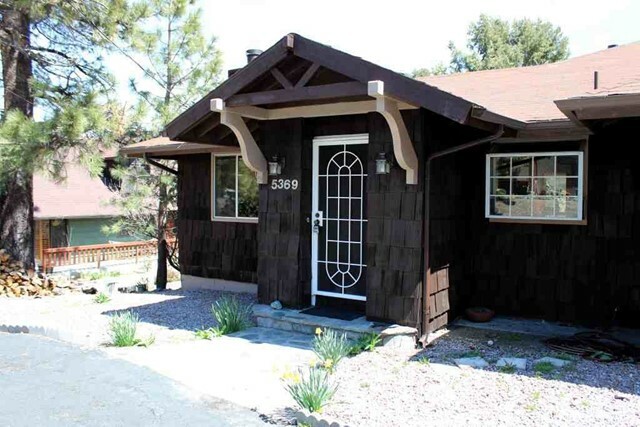 Close to National Forest&Award-winning Snowline School District. Sold AS-IS. Must see property!" "This Lovely home is nesteled at the end of a cul-de-sac. This large home has 2 full bathrooms and 2 bedrooms on the lower level with indoor laundry. The upper level has 2/3 bedrooms. You will absolutly fall in love with the master bedroom with en-suite spa like bathroom with jacuzzi type tub and separate dual head shower. There is a home entertainment theater and a perfect custom built counter for drafter or crafter with a sliding door and patio off the upper level. The kitchen has a huge sub-zero fridge/freezer, wine cooler, granite counter tops, custom knotty pine cabinets and opens to the family room with stone hearth wood burning fire place. The custom front covered patio is a wonderful place to sit and enjoy your morning coffee or afternoon tea. The backyard is landscapped with built in BBQ Island, green house, dog kennel and large patio with umbrellas. Don't forget there is also a custom 3 car garage!! You must come view this home to appreciate all it's amentities, nothing is spared here. Association Amenities: None # of RV Spaces: 0 Special Features: CC,,SHNONE Lot Location Type: Standard Location Special Features: Garage Door Opener # of Attached Spaces: 0 # of Detached Spaces: 3"
"This Lovely home is nesteled at the end of a cul-de-sac. This large home has 2 full bathrooms and 2 bedrooms on the lower level with indoor laundry. The upper level has 2/3 bedrooms. You will absolutly fall in love with the master bedroom with en-suite spa like bathroom with jacuzzi type tub and separate dual head shower. There is a home entertainment theater and a perfect custom built counter for drafter or crafter with a sliding door and patio off the upper level. The kitchen has a huge sub-zero fridge/freezer, wine cooler, granite counter tops, custom knotty pine cabinets and opens to the family room with stone hearth wood burning fire place. The custom front covered patio is a wonderful place to sit and enjoy your morning coffee or afternoon tea. The backyard is landscapped with built in BBQ Island, green house, dog kennel and large patio with umbrellas. Don't forget there is also a custom 3 car garage!! You must come view this home to appreciate all it's amentities, nothing is spared here." "***Stunning NEW CONSTRUCTION in the desirable community of Wrightwood*** This sprawling 4 bedroom, 3 bath home is two story with TONS of upgrades**Beautiful water resistance laminate plank flooring, 9' ceilings, low voltage throughout (smart house), the garage is wired for an electric car (220), stainless steel appliances, including refrigerator, blinds throughout, wood burning stove**UPSTAIRS LOFT** The Master Suite has a HUGE walk-in closet, duel sinks, vanity and an AMAZING balcony** Tile showers & baths, ceiling fans**Mirrored closet doors**Nice size yard**TRULY A MUST SEE!" "***Stunning NEW CONSTRUCTION in the desirable community of Wrightwood*** This sprawling 4 bedroom, 3 bath home is two story with TONS of upgrades**Beautiful water resistance laminate plank flooring, 9' ceilings, low voltage throughout (smart house), the garage is wired for an electric car (220), stainless steel appliances, including refrigerator, blinds throughout, wood burning stove**UPSTAIRS LOFT** The Master Suite has a HUGE walk-in closet, duel sinks, vanity and an AMAZING balcony** Tile showers & baths, ceiling fans**Mirrored closet doors**Nice size yard**TRULY A MUST SEE! Association Amenities: None # of RV Spaces: 0 Special Features: PTRYNONE Lot Location Type: Standard Location Patio and Porch Features: Balcony # of Attached Spaces: 2 # of Detached Spaces: 0"
"Chalet Beautiful! Brand new 2000 sq. 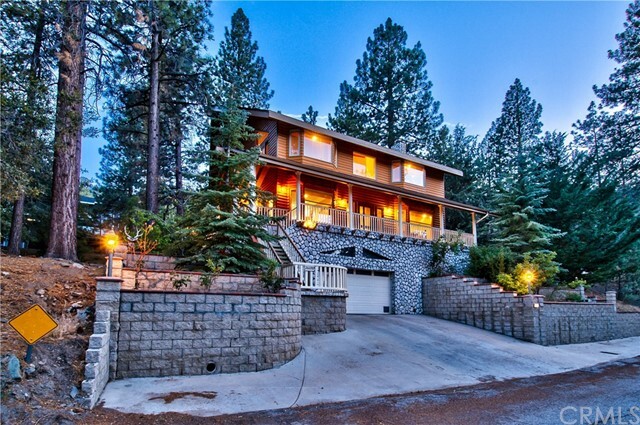 ft. mountain home on one of the quietest streets in Wrightwood. The extra large living room boasts a gorgeous designer built fireplace and beautiful laminate plank flooring. Lovely dining area with access directly to the deck for entertaining inside/outside. The large rear deck and yard is very private and will remain private. No one can ever build behind you. Giving you direct access to the many trails in the beautiful San Gabriel mountains. Main living quarters and master bedroom and bath are downstairs with 2 large bedrooms( 11.5x 16')(16'X 16') and bath upstairs. Each bedroom upstairs has a private finished side room for growth or storage. Come and see a rare, brand new home that has been designed for comfort, luxury, beauty, and mountain living. Association Amenities: None # of RV Spaces: 0 Special Features: CC,FS,,PTRY,WKNONE Lot Location Type: Standard Location Landscaping: Natural Patio and Porch Features: Balcony Special Features: Garage Door Opener # of Attached Spaces: 1 # of Detached Spaces: 0"
"The view into the valley is breathtaking, as is the home itself. 2 master suites,3.5 bathrooms. 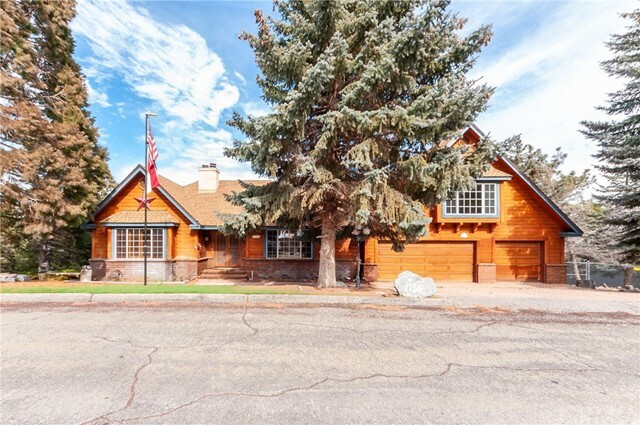 Completely remodeled with everything the discriminating buyer needs.Outside,you are greeted by a rock waterfall leading up to the 600 sqft deck with ski lift porch swing. After opening the door,the foyer leads to the double door entry with newer stone flooring throughout the living room.The large vaulted ceiling and fireplace graciously awaits you to give you the instant feeling of warmth.Throughout the rest of the home you will find genuine 3/4 hard wood flooring, newer carpeting,andtravertine tile. The kitchen has granite counters and newer stainless steel appliances.For heating, you have the option of the fireplace,a wood burning stove with house blower or a faux fireplace furnace in the 2nd master suite.This bedroom has a new oversized bath with steam shower.$11,000 cost of new shutters. The garage is over 1200 sf and is heated.Highest quality materials and workmanship. Association Amenities: None # of RV Spaces: 0 Special Features: BC,BN,CC,PTRY,SKNONE Lot Location Type: Other # of Attached Spaces: 2 # of Detached Spaces: 0 Construction Materials: Masonry"
"Single story Steinman build with room for everyone! This stunning home features 3 large bedrooms, an office which could easily be a 4th bed, 3 baths and over 2,400 square feet of living space and a 2 car attached garage. Other features include grand ten foot ceilings throughout, a full fire sprinkler system, an over-sized master suite, a large attached 2 car garage and a solid build which will last for generations to come. The floor plan is designed for easy navigation, with a very accessible entry that flows from kitchen to living room with a nice, open floor plan. Ample kitchen space perfect for entertaining and a gas burning fireplace in the large comfortable living room. Large bedrooms all around, two beds sport a Jack and Jill bath and a large finished sun room which is ideal for the hobbyist or crafts expert, a den or family room, or just more living space. Lots of closets and storage space. The finished basement area below is a bonus and has built in cabinets and desk, perfect for an office or study area. The outside is nicely treed with native pine, lots of daffodils and a variety of fruit trees. Convenient drip system in the front for easy watering options. Complete with a nice size lot, the front deck is perfect for family get together's and weekend BBQ's. Easy in and out with a level road and driveway and just a minute or two from the highway. 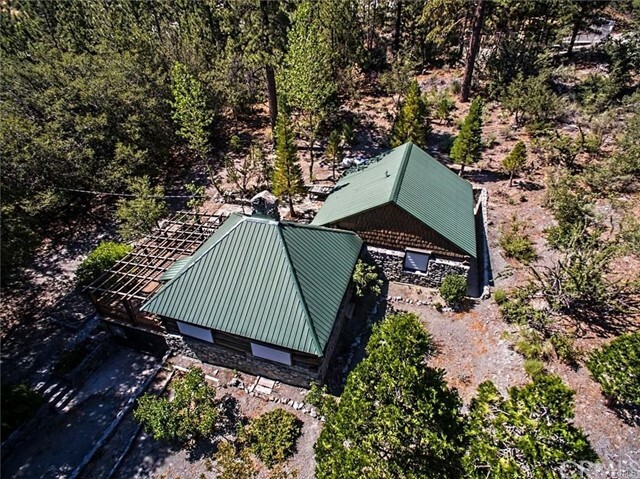 Don't miss this chance for a rare single story find with room for the whole family in picturesque Wrightwood! Association Amenities: None # of RV Spaces: 0 Special Features: FS,,TS,WBNONE Lot Location Type: Standard Location Landscaping: Natural, Partial Special Features: Garage Door Opener Basement: FINI # of Attached Spaces: 2 # of Detached Spaces: 0"
"Nice, well kept home on a cul-de-sac in a quiet part of Wrightwood. Large lot, nice views. Has an almost new hot tub and large deck in the back for entertaining. Association Amenities: None # of RV Spaces: 0 Special Features: ,TS,SHNONE Lot Location Type: Standard Location Landscaping: Natural Special Features: Garage Door Opener # of Attached Spaces: 2 # of Detached Spaces: 0"
"WELCOME HOME TO YOUR BEAUTIFUL CUSTOM MOUNTAIN HOME. This House Sits Perfectly on a corner lot and is fully fenced with natural grass and mature trees. Entry is on the first level which has a bedroom and bath and a Big Bonus room which could be about anything with sliding glass doors leading to the fenced back yard, also the laundry room and access to the 3 car garage and workshop area is on this level. Walk up the stairs on the plush carpeting to the breakfast nook that over looks the backyard. The kitchen has everything you need with a nice window looking out to the wooded area of the back yard. Also has a formal dinning with a/c unit and sliding door that leads out to another private balcony with open concept to the family/Front room which features high wood beam ceilings and high windows a custom rock pony wall with a wood burning stove that heats the Whole house, also a dry bar to mix up some afternoon drinks. This 3 bedroom 3 bath home has it all. The Master bedroom with in suite Bathroom with duel sinks and walk in closet also has sliding glass door leads out to your private balcony. The second bedroom is spacious with closet. This Home Also is a extra large lot with RV Parking with Electricity and Dump station fully cemented with newer Septic system and new water heater with a water Softener system. You wont be disappointed with this home. Association Amenities: None # of RV Spaces: 0 Special Features: BN,CC,,WSEC,SH,WKNONE Lot Location Type: Standard Location Landscaping: Sprinklers Patio and Porch Features: Balcony Special Features: Garage Door Opener # of Attached Spaces: 3 # of Detached Spaces: 0"
"Mountain comfort at its best! This totally updated 2002 sq ft. 4 bedroom, 2 bath home with a detached two car garage is beautiful! Home has new windows, exterior siding & insulation in living room ceiling! New flooring and doors! Enter into the beautiful open floor plan, custom stone fireplace, ceiling fans and skylights. Kitchen has been completely updated down to the cabinets and granite counters. The downstairs bath has a custom double sink vanity, granite countertops and a walk in shower with beautiful tile. Upstairs to the open loft, custom rod iron staircase, updated bathroom with tub, and bedroom. Back yard has a deck for barbecuing and relaxing! Home is located walking distance to the village and Wrightwood elementary! This home is a must see!! Association Amenities: None # of RV Spaces: 0 Special Features: CC,,LFNONE Frontage Type: National Forrest Lot Location Type: Standard Location Patio and Porch Features: Covered Deck Special Features: Garage Door Opener # of Attached Spaces: 0 # of Detached Spaces: 2"
"This beautiful designer home is located in the prestigious Pacific Crest Estates. Less than 5 years old, with custom upgrades throughout. Two master bedrooms, one upstairs and one downstairs with 2.5 baths. The foyer leads into a beautiful great room with a gorgeous Wrightwood Rock signature fireplace, designer kitchen, and granite counter tops with a unique one of a kind island. There are 2 patios, the more private of the 2 has a hot tub/spa. Pacific Crest Estates is a diverse community and is the newest development in Wrightwood. It offers gorgeous views, underground utilities and pride of ownership throughout.Come and be a part of this growing community and make it your forever home. Association Amenities: None # of RV Spaces: 0 Special Features: BC,,PTRYNONE Lot Location Type: Standard Location Landscaping: Partial Special Features: Cable TV # of Attached Spaces: 0 # of Detached Spaces: 2"
"Spacious Mountain Home with Hwy 2 and Lone Pine Canyon Rd nearby for quick ingress and egress. Circular driveway, covered front door entry, security door, and 2 car garage with interior access. The interior entry space has hardwood flooring and open coat closet with room for a bench. Large living room with beautiful rock fireplace and access to the generous deck. Well-appointed kitchen with stainless steel appliances, mosaic back-splash, granite counters, stylish track lighting, garden window, beautiful cabinetry with wine rack, large breakfast bar, and hardwood flooring. Featuring a formal dining room that is open to the living room, kitchen, and the gated deck! Also features hard wood flooring, a bay window with view and ceiling fan. The Master Bedroom Suite has his and her closets one a huge walk-in, its own rock fireplace, built in bookshelves, and french doors leading to a private patio area. The Master bath features a double sink vanity, a deep tub to soak in and separate shower. The second bedroom has built in book cases and a large drawers under the bay window, and a skylight. The second full bathroom also features a skylight. The third bedroom comes with extensive shelving in the large closet. Plenty of storage throughout the interior, and under the house. New carpet and double-pane windows throughout. Extra large backyard is cross-fenced. Two furnaces, one for each floor. This is a must see home with a motivated seller! Large supply of ready firewood included!" 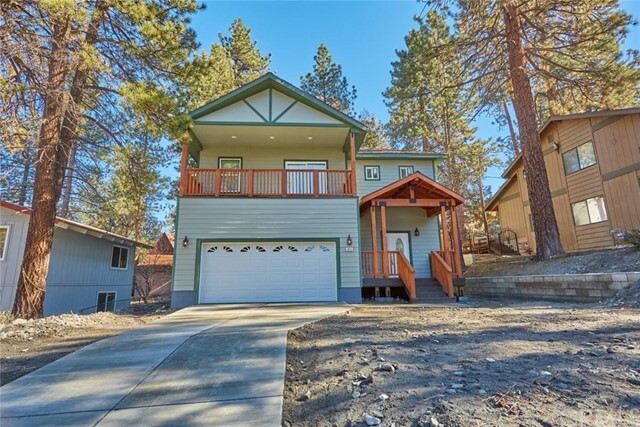 "This gorgeous 4 bedroom mountain home has room for everyone, plus all their toys! Huge 16,350 square foot lot with RV Parking, a single car garage, and a fully fenced backyard. Lots of space on the large decks in the front and back of the home, perfect for entertaining and enjoying the fresh mountain air. The kitchen/dining area includes a generously-sized pantry with plenty of storage as well as a cozy brick fireplace with wood stove and electric blower, perfect for those chilly winter evenings. There is a small bedroom downstairs as well as a full bathroom. The master bedroom with ensuite bathroom is separate from the rest of the bedrooms, for maximum privacy. This home shines with pride of ownership. Association Amenities: None # of RV Spaces: 0 Special Features: BC,CC,,PTRY,SHNONE Lot Location Type: Standard Location Patio and Porch Features: Covered Deck Special Features: Garage Door Opener # of Attached Spaces: 1 # of Detached Spaces: 0"
"PRICE REDUCTION!! SEPARATE PRIVATE LIVING QUARTERS! POSSIBLE MOTHER-LAW-QUARTER OR RENTAL SPACE OR AIRBNB! EXTRA SPACE FOR YOUR FRIENDS AND RELATIVES! This house is located in one of the nicest neighborhoods in WW. It includes the value of 2 homes at 1 price. Spacious rooms and recently added dual-pane windows that offer beautiful views. Located on a mesa with 40 other congenial neighbors. Both decks face east with a view of Circle Mountain and gorgeous sun and moon rises. A spectacular view when snow is on the mountain and Jeffery Pine trees below. Both levels of the house are self-contained with separate entrances. Both levels have kitchen, living room, laundry room, bedroom(s), bath room(s) and deck. Great for additional family members, guests, maybe as a separate rental space or AIR-B&B. List of amenities: 1. Beautiful pavers are installed in the parking area and walkway 2. A metal double wide carport for street level parking. Snow load struts and posts are installed for extra support. 3. Recreational Vehicle parking is available for off street parking 4. Upper level deck is constructed with Trex (composite material)-no maintenance required 5. Front entry door and side lights are of fiberglass fitted with leaded glass. 6. All windows are vinyl double pane including 5 sliding glass doors. 7. A down stairs 17 foot by 19 foot bonus room is attached to the garage. Great for an office, exercise room or storage. 8. Large rear yard is fenced with separate holding ar Association Amenities: None # of RV Spaces: 0 Special Features: PTRYNONE Lot Location Type: Standard Location,Other Landscaping: Natural Patio and Porch Features: Covered Deck Basement: FINI # of Attached Spaces: 2 # of Detached Spaces: 0"
"Custom craftsmanship in the woods! Come check out the stunning views on this north side property with so many extras for the whole family. This unique property features a finished basement perfect for income property or just extra living space, along with a cool kids bunk house, grotto and play area, detached garage which was perfect for the mechanic or carpenter. The main house features 2 beds, 2 1/2 baths plus an office on the main floor, a large living room with wood burning stove, and a large kitchen, custom woodwork, dual pane windows throughout, custom ceiling fans and main floor laundry-plus plenty of storage everywhere! The interior has been remodeled with reclaimed Lodgepole Pine which adds to the feeling of craftsman comfort. Down in the finished basement, a 2 bedroom plus full bath can be accessed from its own dedicated entrance or from the living space above. This area can be used for income or your own enjoyment, complete with a full kitchen and lots of extras like a walk in closet and separate laundry, so many options. Now lets talk view...sitting above the Wrightwood valley on the north side, you get amazing views of the Blue Ridge mountain range and the waterfall of pine trees that flow all the way down to the valley. There are only 4 other properties in this area which means no traffic, a serene setting and plenty of privacy. There is just too much to list so come see it for yourself, you will not be disappointed in the custom beauty and the amazing views. Association Amenities: None # of RV Spaces: 0 Special Features: BC,,PTRY,SK,SH,WK,OBNONE Lot Location Type: Standard Location Landscaping: Natural Special Features: Cable TV Basement: FINI # of Attached Spaces: 0 # of Detached Spaces: 2"